Habit building is a journey; it doesn’t happen over night. I have had difficulty accepting that I cannot do what I once could. I am not the same person I once was. Life in general requires overcoming challenges and obstacles of many types. Life with fibromyalgia introduces its own share of challenges: lack of energy, lack of sleep, chronic pain being the most prevalent. These things can change who you are and how you approach life. What once was a simple task, such as getting out of bed in the morning, can now be a daily struggle. In the years since my diagnosis, my biggest challenge has been SLOWING DOWN. I have had difficulty accepting that I cannot do what I once could. I am not the same person I once was. Type A personalities like myself prefer to be in the game rather than sitting on the sidelines. Adopting health strategies such as a clean diet, regular workouts, and supplements, has helped lessen the daily pain and limited my “flares” of my fibromyalgia. It has allowed me to maintain a moderately active lifestyle. And then I begin to think: Maybe I am OK. Maybe I am in some sort of remission. Maybe I can push myself just a little harder. And that thinking usually ends in a crash and burn, i.e. 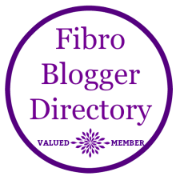 fibro flare and bed rest. Slowing down, resting allows the body to recover from the stresses put upon it. Without a recovery period, we can do our bodies more harm than good. Excellence is a habit – 5 tips to be a better you. I have this quote from Aristotle on my desktop at work to remind me that it takes practice and consistency to get better and achieve excellence. Getting better to me is making incremental improvements, either in health, talents, or habits. Small acts done consistently over time become big habits.